So, you've clicked on this post and now you're wondering what snacks can be 1. yummy, 2. healthy, and 3. cheap all at the same time? Well sit back and relax hun, because you're in for a treat (no pun intended)! I usually do my food shopping in Tesco as it's close to my workplace and house, but since I'm moving to a new place in September my closest shop will be Aldi (I'm very happy about this). As you can see, these things were all bought at Aldi on my recent trip for some vegetables but as you can see the trip took a different turn and I ended up buying some goodies - #NoRegrets. 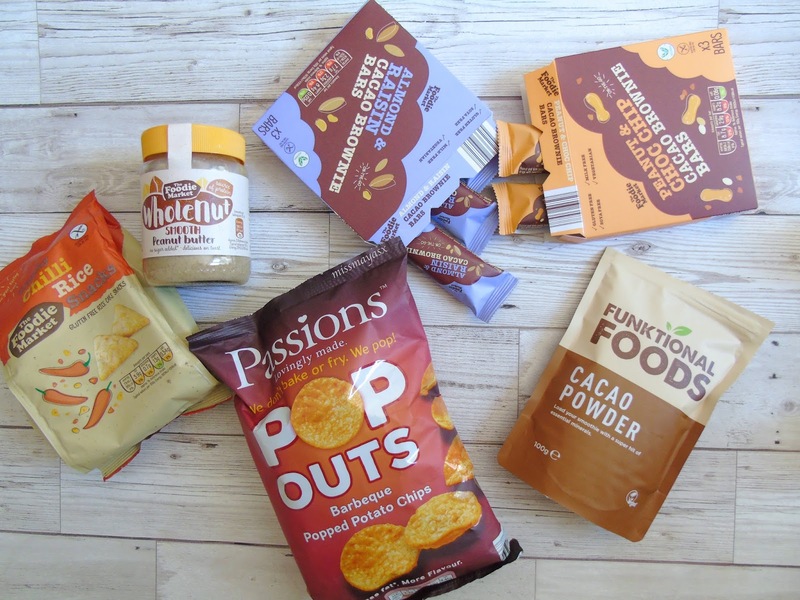 Ever since trying Popchips for the first time in my life this year (and loving them obviously), and hearing from many influencers that Aldi does a cheaper version I had to try some out. They come in two flavours - BBQ and Sour Cream & Chive - the BBQ are my and Kieran's favourite, and at only £1.29 they're a bargain! 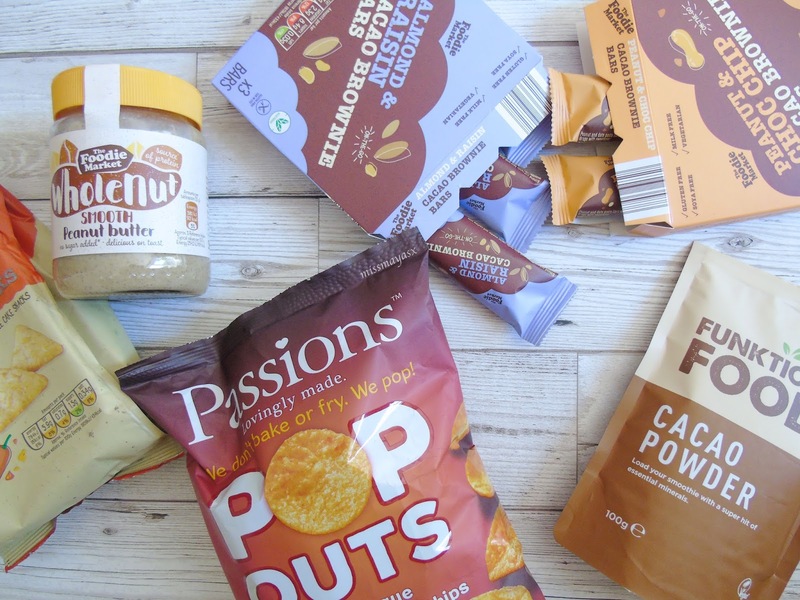 Aldi's Pop Outs are made with a lot less fat and are actually a healthy alternative to regular crisps so you can still enjoy yourself and indulge in some heavenly crisp sandwiches. Talking about a crisp heaven, I came across these sweet chili gluten free rice cakes which are AMAZING. I've always been a big fan of rice cakes and usually tend to go for slightly salted rice cakes or plain with a bit of peanut butter to taste but these are great on their own as either a lunchtime or late-night snack. As I mentioned above, these are also gluten free so anyone can enjoy them! - they also come in a few different flavours but this one sounded the most appetising to me, and at only 79p per packet you cannot go wrong! I used to be obsessed with peanut butter but since literally over-dosing on it a couple of years ago I stopped buying it and would only have it on special occasions. When I came across this wonderful jar of Wholenut Smooth Peanut Butter which has no added sugar, I had to buy it. It's great on toast, mixed in a smoothie or protein shake, with porridge - the combinations are endless! It tastes very nutty which I personally love and know that even Kieran will eat it if it's mixed in with his food! I believe this only cost me £1.29 on offer with the usual price being around £1.50 which s still very affordable. 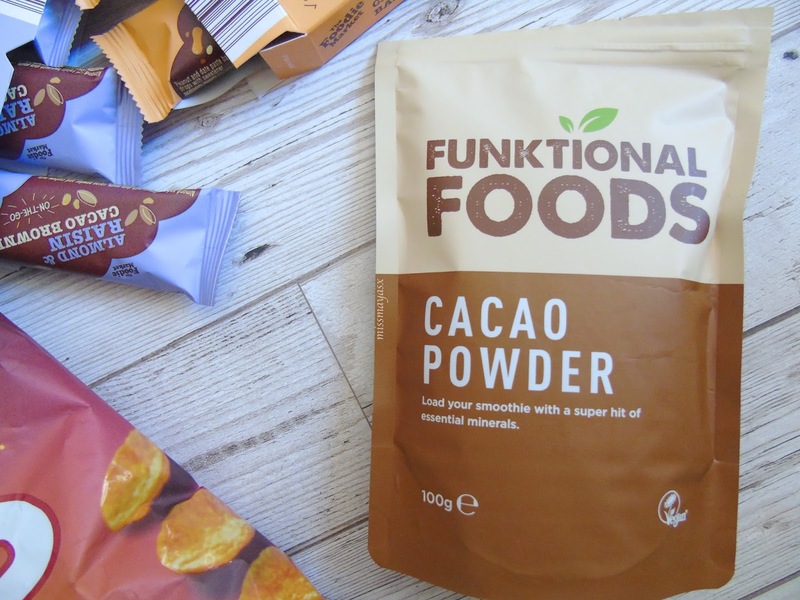 Cacao powder was on my shopping list for a while but I wasn't going to buy any until we had settled in our new flat but seeing it in Aldi for only £1.99 I had to buy it - come on now! It only has 37 calories per 10 grams which is pretty good, especially if you like to add it to unflavoured protein or porridge. I bought it to make a healthier version of brownies or granola bars that taste good so my little brother and sister can enjoy them as well as the adults. I feel like I've saved the best 'til last! These are honestly the best brownie bars I have ever tried and believe me when I say I've tried a LOT 😳 They are gluten free, soya free, vegetarian, and it says milk free so I guess they're also vegan? But make sure you check the ingredients list before you buy them as they may contain some traces of animal produce. 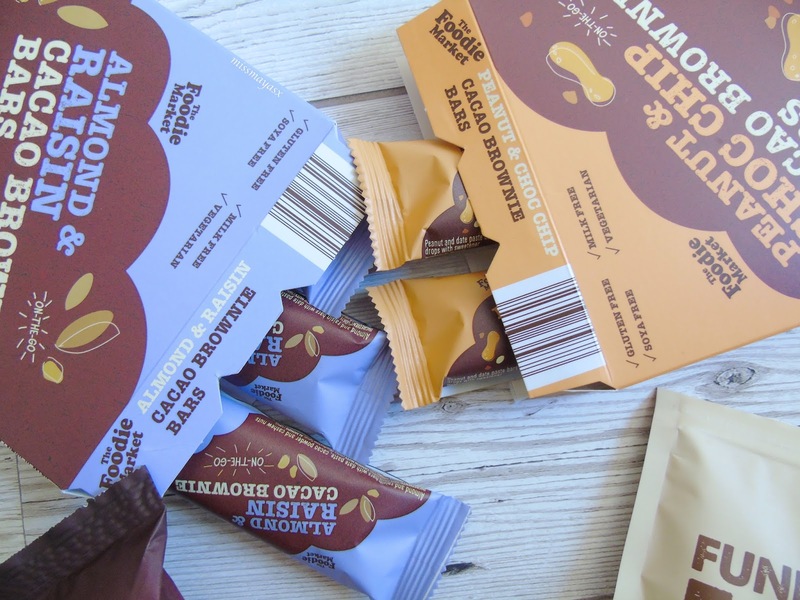 It's like they're a cheaper version of the Nakd bars which are pricey but oh-so-delicious! I believe these only cost £1.49 for 3 bars so it comes up to 50p per bar which for a healthy snack is fantastic - my university sells a piece of fruit for 80p so I'd much rather stock up on these and carry a packet around in my handbag to snack on inbetween lectures for an instant energy boost. Have you tried any of the snacks I mentioned above? Did any of them tickle your fancy? 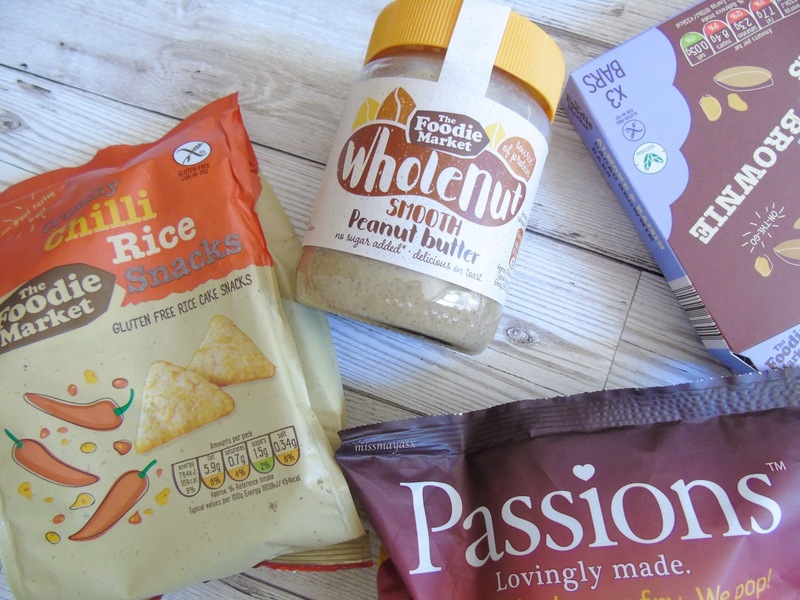 I know for a fact that I'll be getting some more of these during our weekly food shop as you can't go wrong with tasty, healthy AND cheap snacks like these.